Completely versatile, easily takes you from day to night. Playful and flirtatious. Multi-strand tear drop earrings fashioned of 24K gold-plated plated or sterling silver Czech beads. The teardrop earrings are know as our little Black dress. They are one of our most popular pieces. Completely versatile, easily takes you from day to night. Playful and flirtatious. 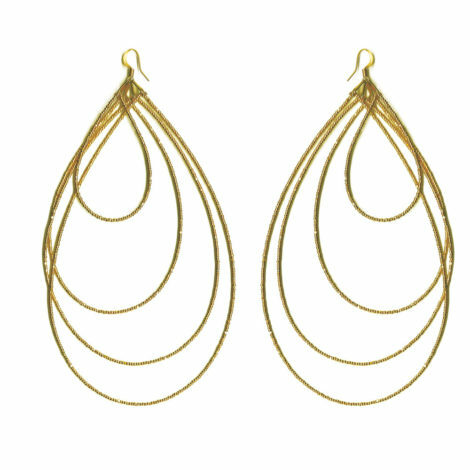 Multi-strand tear drop earrings fashioned of 24K gold-plated plated or sterling silver Czech beads. Small (Three Strands) 4", Medium (Four Strands) 4.5", Large (Four Strands) 5.5"